Founded in 1955, the Rotary Club of Burien / White Center has a long and rich history of service to the surrounding community. Over these 60+ years, our club members have volunteered countless hours of service and generated hundreds of thousands of dollars which have been distributed back into this community. The Rotary Club of Burien / White Center generates funds through various fundraisers to support Rotary International, district projects, local charities, scholarship programs, organizations and other community projects. Though there are hundreds of projects which Rotary International participates in, perhaps our most well recognized project is PolioPlus. For 20 years now, Rotary International has been a major contributor of funds and volunteer work towards the eradication of the polio virus. In this time, Rotary International has helped to eliminate 99% of the polio cases and our pledge is to continue our efforts until polio is no more. Like all clubs, The Rotary Club of Burien / White Center contributes funds to the Rotary Foundation which generates income for such projects as PolioPlus. In addition, members may contribute their time and services by traveling to areas outside of the United States to help implement these projects. At the district level (District 5030 for our club), 51 clubs work together to implement projects such as Rotary First Harvest, Highline Music 4 Life project and the 3rd Grade Dictionary project. Such projects reach out to people throughout both King and Snohomish Counties. 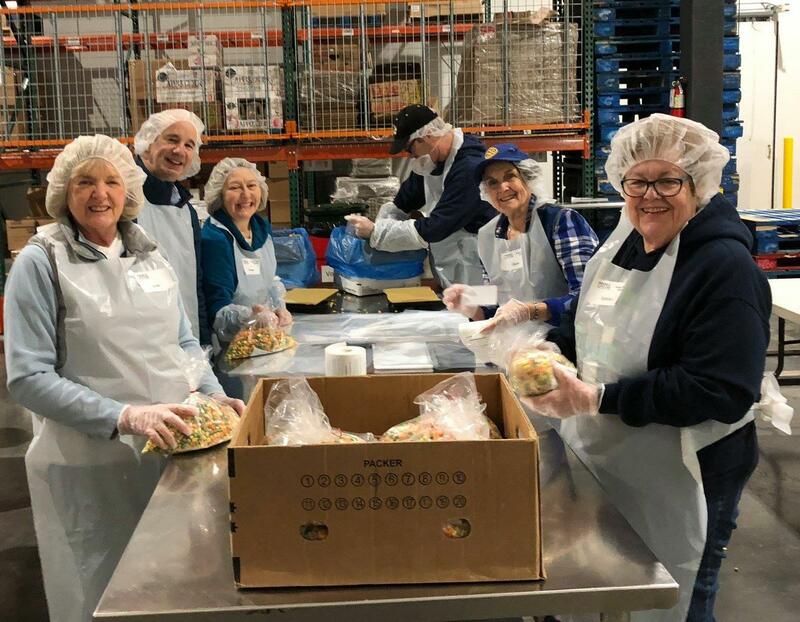 It is not uncommon for members of our club to help pack fresh fruits and vegetables on a Saturday morning for Rotary First Harvest which distributes this food to the local area food banks.